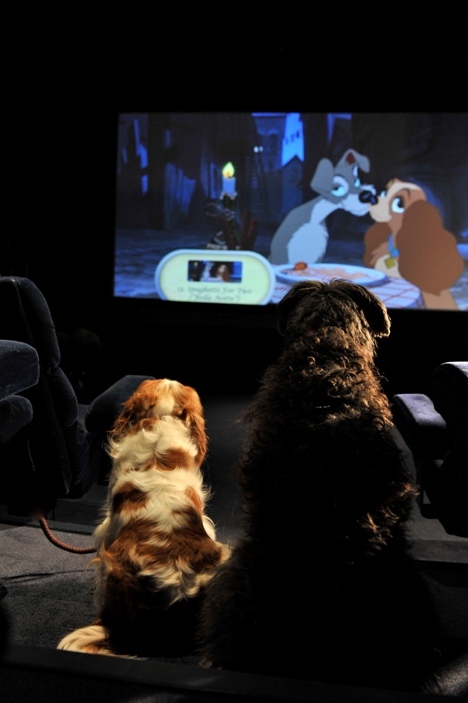 To celebrate the release of Lady and the Tramp on Blu-ray and DVD, a London based PR firm (can someone find out who? I want to give them credit.) 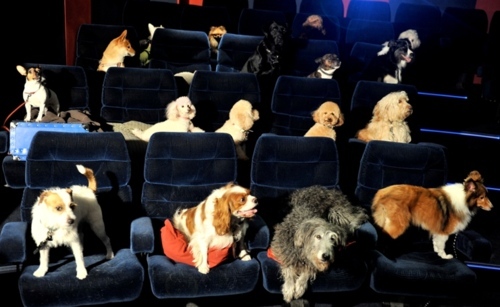 decided to hold a screening for the canine demographic portrayed in the film at the Soho screening rooms in London. Although using the dogs is very cute and great for photo ops, I would hate to have been the usher for that show.